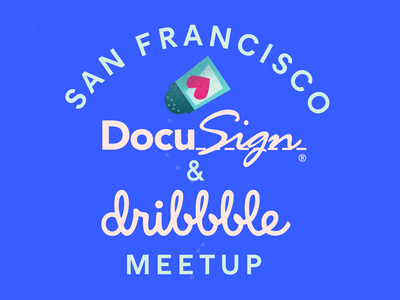 Our friends at DocuSign are hosting a Dribbble Meetup in their San Francisco office on April 25! The meetup titled Portfolio Test Kitchen is extra special because DocuSign’s hiring managers will be offering one-on-one feedback on your portfolio work, structure, or presentation skills. This is a free, invite-only event and seats are very limited, so be sure to apply for an invite today! Today, the DocuSign team tells us more about the design scene in San Francisco and shares some sweet photos of their office space where the meetup will be held. Tell us what you love about San Francisco. The food scene is amazing here, from corn dog festivals to innovative uni toast to boozy brunches, food options are certainly elevated here. One of the best things about San Francisco is how close it is to both the Sierras and also local outdoor activities. You can be out of the city and away into nature in half an hour. Lastly, we love how inclusive and welcoming San Francisco is. Even in the tech scene, there are so many groups and organizations here that support inclusion and diversity in the workplace. Where do you work in relation to the rest of San Francisco? Our office is located just south of Market Street. We’re a couple of blocks off The Embarcadero and have striking views of the Bay Bridge from where we work. The Embarcadero is a bustling corridor full of character and great food spots. We’re only a five-minute walk from the iconic Ferry Building which is full of delicious lunch options for every palette. We’re two minutes from a gym and surrounded by all forms of public transit, too. Tell us about the San Francisco design scene. The San Francisco design scene is super active and bustling with like-minded designers trying to solve the next big problem. Part of this is due to having so many big companies in one place. It means that there are talks or workshops being hosted almost every day. Events can range from the formal “invite-only” to the more casual meetups. There is a lot of specialization out there for folks to dig into as well. From accessibility to working on UX copywriting, there’s something for everyone. What’s unique about the design scene in San Francisco is that it’s very supportive. There’s a camaraderie here where people help, share, and contribute to each other’s work and that encourages people to try new things. Choose three shots from San Francisco-based Dribbblers you admire and tell us what you like about each one. Yomes - Renters Transparency Initiative by Claudio Guglieri, above left. Aside from being beautiful, we love the way the transitions bring the illustration to life. Pokébiome 001: Bulbasaur by John Schlemmer, above middle. Love the way the scene inside the ball animates and adds a sense of character to otherwise simple illustrations. Be Raw by Meg, above right. Face-tongue-space-snails? Come on, how could you not like that? Big thanks to DocuSign for the support in hosting this event. Can’t make it on April 25? Keep up on meetups in your area or start your own? Details at Dribbble Meetups. Find more Meetups stories on our blog Courtside. Have a suggestion? 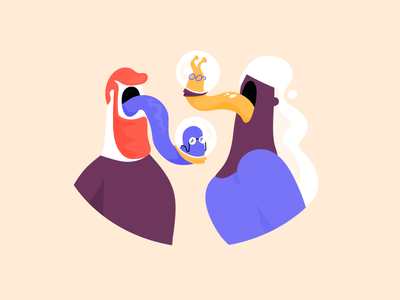 Contact stories@dribbble.com.